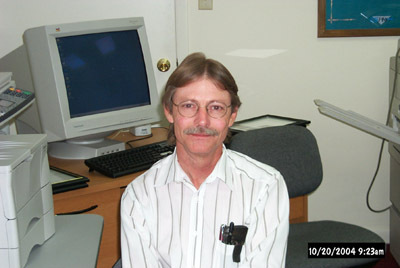 Sidney has been involved in the computer and electronics industry since 1975. After graduating from high school, Sidney spent three years in the U.S. Army working as an electronic/mechanical systems technician on the HAWK missile and radar system. One year of that time was spent in electronics technical school at Redstone Arsenal, AL. After being honorably discharged from the Army, Sidney attended and graduated from Louisiana State University with a Bachelor of Science degree in Electrical Engineering in May of 1986. Upon graduation, Sidney went to work for RCA for several years where he designed electronic circuits and wrote software programs, specializing in digital and analog electronic control systems. In May, 1996 Sidney bought into Standard Business Machines, Inc. which is now known as Southeast Digital Networks, Inc. Sidney pioneered the redevelopment of the technical department of SDN, which entailed moving from a typewriter repair facility into a State-of-the-Art company providing products and services such as sales and maintenance of computers, networks (LAN’s and WAN’s), firewalls, VPN solutions, Terminal Server solutions, POS hardware and software, Web Site design and hosting, email hosting, printers, facsimile machines, copiers, and Digital Document Management systems and just about anything else you might find in an office environment. On August 12th, 2005 Sidney founded Parallel Synergistic Consulting, Inc which primarily focuses on network design, installation and maintenance. Sidney also volunteers his time and sits on the Computer and Computer Networking School Board at the Lively Technical School. Parallel Synergistic Consulting is a total digital provider. PSC designs, installs, and supports many different technologies for companies in Tallahassee and the surrounding area.PSC currently maintains many networks utilizing Network, File and Mail Servers, Voice over Internet Protocol (VoIP), Cisco Firewalls/Routers/Switches, Wireless, and many other technologies that solve business problems efficiently and effectively. We are constantly monitoring the state of these networks, and are always on call to promptly fix problems, if they should occur. Parallel Synergistic Consulting has a large experience base that it relies on to provide clients with the absolute best service possible. PSC employees are constantly learning new technologies in order to be able to provide clients with not only the proven technologies, but also the newer technologies as soon as they become feasible. PSC takes on its clients’ problems as its own. We attempt to provide the fastest, most professional, and best service possible.